I always thought that blowing eggs was only for old women who had nothing else better to do than craft beautiful and delicate eggs. Turns out I was wrong! Blowing eggs is a great Easter activity for ages three and up. 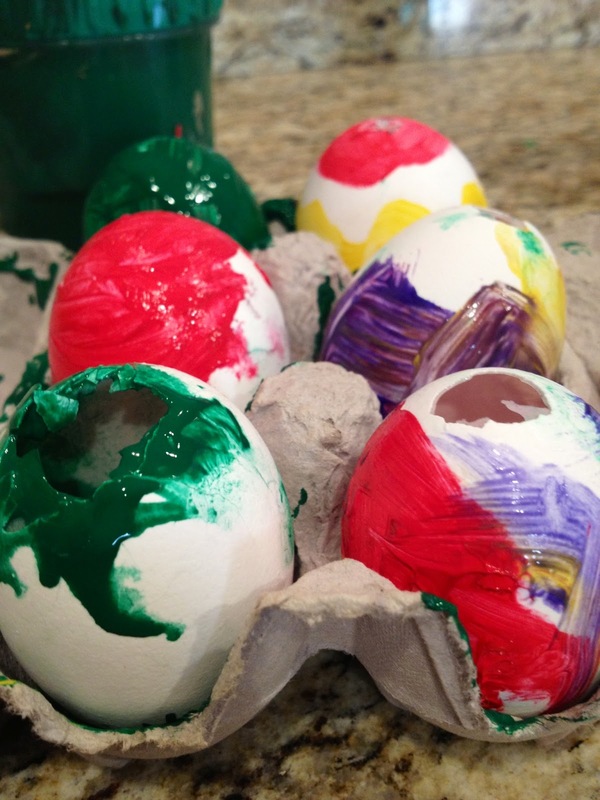 Kids will love seeing the egg ooze out. 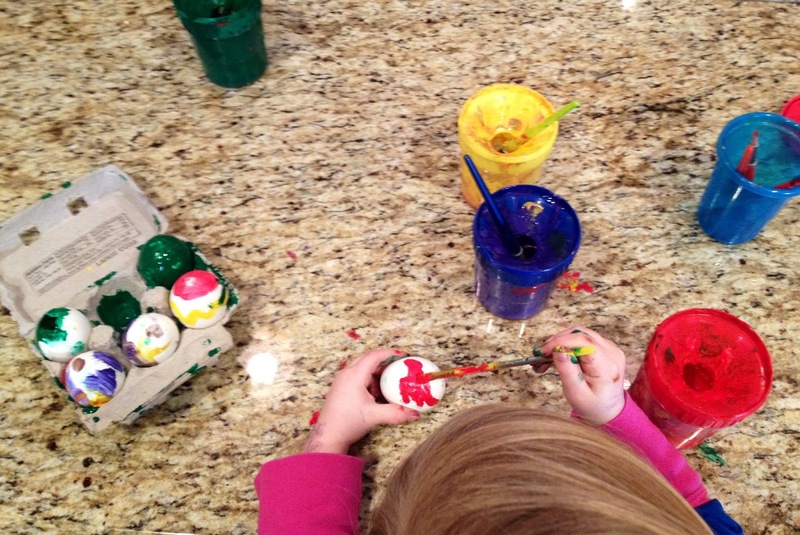 Add in some paints at the end and this craft is a sure fire hit! 1. Start by using the needle to poke a small in the top of the egg and a larger hole in the bottom. 2. You’ll want to blow through the small hole so that the egg can be pushed out through the large hole. 3. Once your egg is fully blown out, you will want to rinse it with the vinegar. 4. Now just let dry and paint! Once painted the eggs become a lot less fragile, so you can stop holding your breath if you are soon this with youngsters.